One way a REALTOR® differs from non-REALTOR® practitioners because REALTORS® subscribe to a strict Code of Ethics in your work with consumers. NAR requires that every REALTOR® fulfill continuing education on Code of Ethics to maintain their REALTOR® membership. All REALTORS® must fulfill Code of Ethics Training by December 31, 2018. Without this training, your Realtor® membership will be suspended. 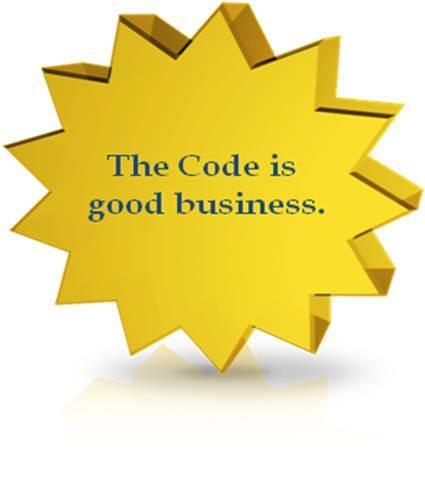 While the training is a requirement, a reminder of the Code of Ethics is good for business! Choose an option below. The two Kansas options below offer you 4 CE credits as well as fulfilling the NAR Code of Ethics requirement. This online course combines elements of the code along with narration and fact situations. The class satisfies the NAR mandate for Code Of Ethics training AND gives you four elective hours of Kansas CE. Register for the online course now. This is a combination of at-home and live classroom study. It is offered every month through December 2016. The Quick Study class meets the NAR requirement for COE training AND gives you 4 elective hours of Kansas CE. View the Quick Study schedule and register online. Questions? Click here for Code of Ethics Training FAQs.